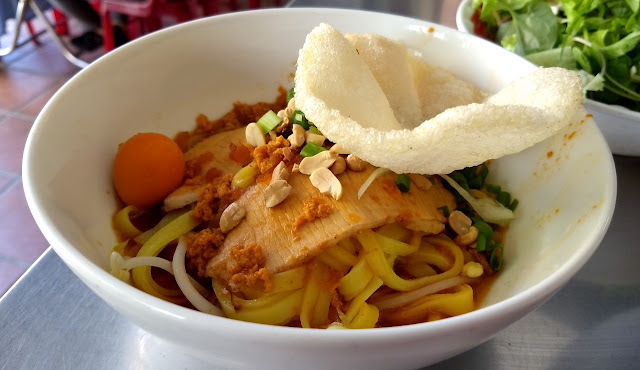 Mì Quảng and Cao Lầu are two of the more famous local dishes in Hoi An. 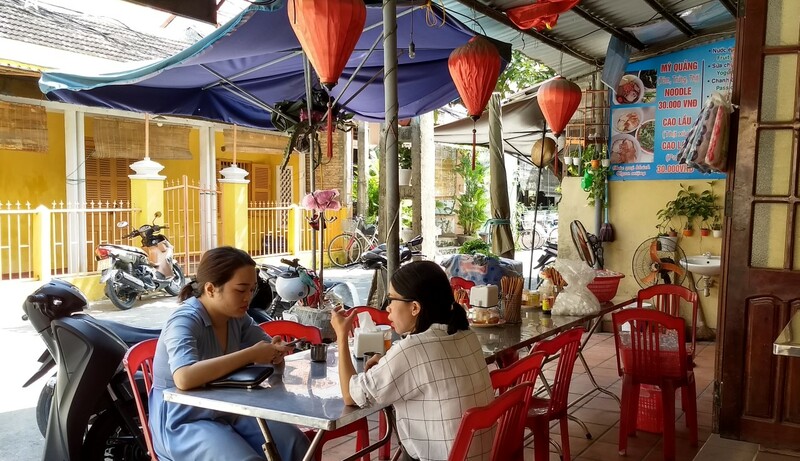 We had both of them for the first time at a little shop called Ông Hai ("grandfather Hai"). 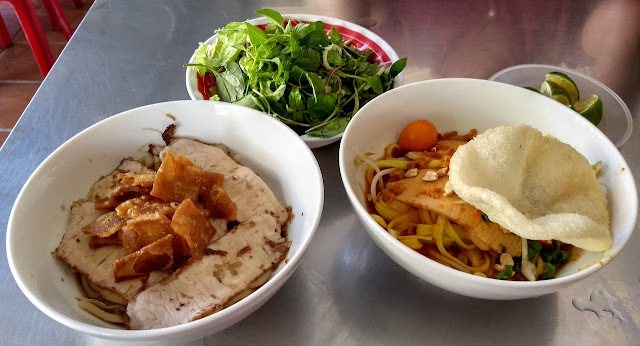 These two dishes are pretty much the only ones this place does, and it does them very well. 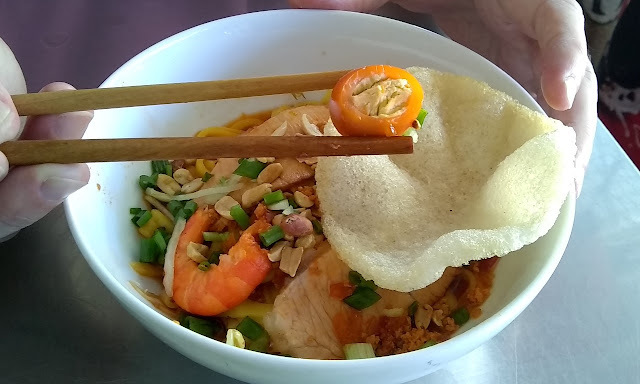 We had other versions of Mì Quảng later in our trip, but this was by far the best one. 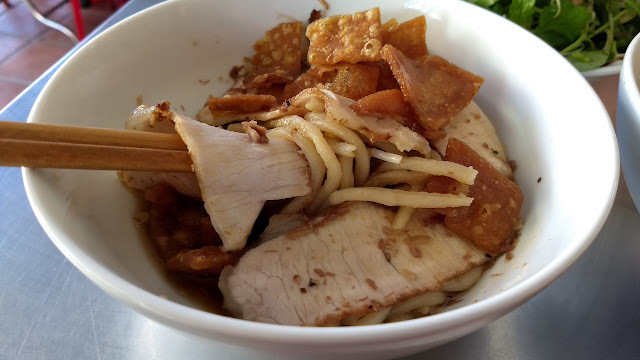 Nice textured noodles in a small amount richly flavored amber-colored broth with some sliced pork and shrimp and a dusting of crushed peanuts. The quail egg is a standard touch - but this one was bright orange with the egg white looking yolk-colored. The Cao Lầu was less outstanding compared to other versions we tried, but it was still very good. Round, chewy noodles in a soy-flavored broth with fried wonton-like crackers on top.